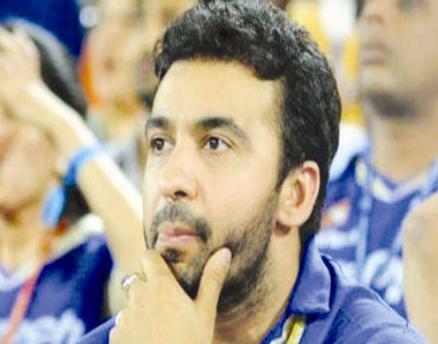 NEW DELHI, 12 JUNE: Umesh Goenka, the business partner of Rajasthan Royals owner Raj Kundra, today claimed in a court here that he was forced to name him in cricket betting on instructions from Delhi Police personnel who had “traumatised” and “physically abused” him in illegal custody for five days. Goenka, whose statement has been recorded as a witness in the case, also said he was forced to name his friend Kundra to save himself from physical torture and from being booked under MCOCA, as threatened by the police. “Due to threats, torture and extreme fear of consequences on refusing to comply with the dictates of the police, I made the statement before the magistrate. It was not made voluntarily and was given under duress on directions of police,” he said. Goenka made the remarks in an application for retraction of his 5 June statement made before a magistrate in which he had named Kundra in the cricket betting. Additional Sessions Judge Vinay Kumar Khanna heard brief arguments and directed the Special Cell of Delhi Police to file its response.“Special Cell to file reply with supporting affidavit of its in charge on or before 14 June,” he said. Goenka said he was not disclosing the truth after the court pulled up police for invoking MCOCA while giving bail to accused persons in the IPL spot-fixing case. In his detailed application filed though his counsel Tarun Goomber, he narrated the alleged torture at the hands of Delhi Police. 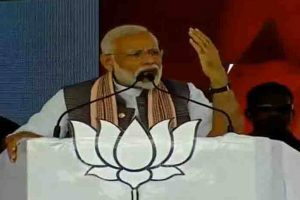 He said he was forcibly taken to a hotel by two officials of Special Cell and then flown to Delhi and brought to Special Cell office in Lodhi Colony where he was asked to disclose his and Kundra’s involvement in the cricket match betting. Goenka said that on his saying that neither he nor Kundra was involved in betting, he was put in a lockup and then produced before Special CP. He was not allowed to meet his nephew who had also flown to Delhi.He also said he was then shifted to a hotel in Karol Bagh area and kept in illegal confinement and brought back to Special Cell office on 3 June. He said he was subjected to interrogation and when he reiterated his stand about his and Kundra’s non-involvement in betting, police personnel slapped him, removed his clothes and tortured him physically delivering fists and blows and slapped on his face so hard that his right ear drum got ruptured. He added he was again kept in an illegal confinement at a hotel on 4 June where he was also given a typed statement to read which mentioned the involvement of Raj Kundra in cricket betting. When he refused to make the false statement, he was threatened that if he protests MCOCA would be registered against him as had been done with other accused. Goenka said the next morning on 5 June, he was taken to the magistrate’s chamber for recording his statement and warned against revealing how he was tortured. The application further said that after recording of his statement, police took his signatures on many blank papers. On being asked by police, his relative brought his passport to Delhi and the same was illegally seized.